"Make a joyful noise unto God, all ye lands: Sing forth the honour of his name: make his praise glorious" (Psalm 66:1, KJV). Music is at the heart of St. John's. It's somewhat rare to find a church reaching out to a contemporary world with the Gospel of Jesus Christ and still rooted in traditional liturgy. St. John's draws worshipers from a wide area of the greater Florence area with timeless rituals that are remarkably powerful in today's world. The music supports this liturgy. 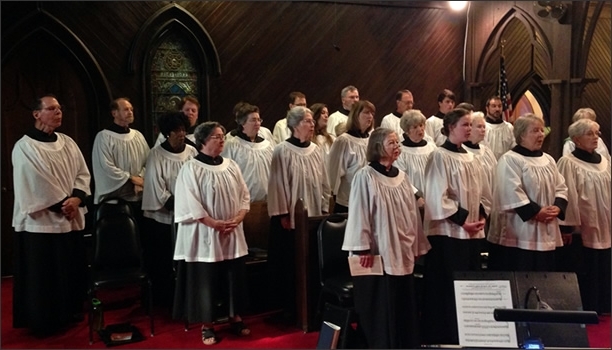 While we endeavor to offer a balance of styles, the overall character of our music is traditionally Anglican. The Senior Choir practices on Wednesdays at 6 p.m. and sings at the 11 a.m. service on Sundays during the regular calendar season. The choir also sings for various special services throughout the year, including liturgies associated with the seasons of Advent/Christmas (Advent Lessons and Carols, two services on Christmas Eve) and Lent/Easter (Maundy Thursday evening service, Good Friday noon service and the latter two services on Easter Day). This group of choristers forms a "community" at St. John's, and they are very dedicated to the worship life of the parish. Our handbell ministry expanded in the 2015-16 choir year with the addition of a a third octave of bells. The choir is currently playing music up to, and including, Level 4. Eleven ringers (with substitutes who float to various positions as members are away) form a very enthusiastic, dedicated and capable handbell choir. 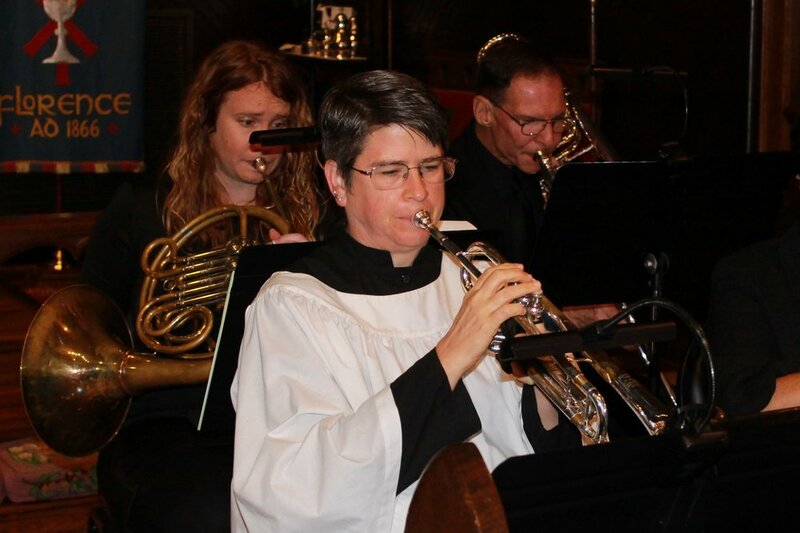 They play regularly in worship, especially at Morning Prayer services (typically on the first Sunday of the month at 11 a.m.), where they not only accompany the canticles, but provide voluntaries at the beginning of the service. In September 2016, the choir participated in a Raleigh Ringers Workshop at St. Andrews Presbyterian Church, Irmo. The group is growing in leaps and bounds! Beginning our second decade of offering the greater Florence area quality programming, our annual Epiphany Concert Series offers Sunday evenings of musical inspiration. The conerts are varied and are free to the public—only freewill donations are received. 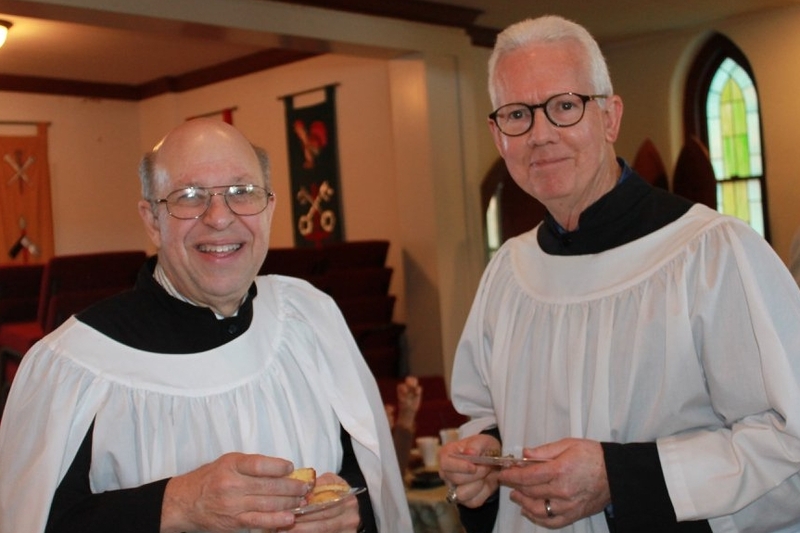 A feature of the Epiphany Concert Series is its missional aspect. We are asking that concert attendees bring a non-perishable food item to be given to The Manna House of Florence. We are a blessed people and hope to be a blessing to those in need. It’s not required—just greatly appreciated! Canned meats and vegetables , other non-perishable foods (such as peanut butter), and even cleaning supplies, are appropriate. Please join us in experiencing a wonderful season of inspiration!